Billet head in the form of a small scroll. About two feet long (or tall as it is shown here.) 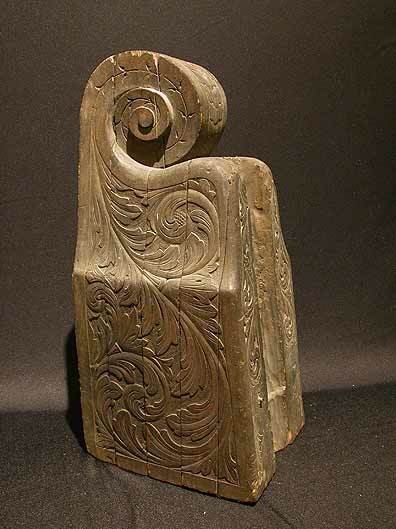 This carving has only the scroll carved in three dimensions; the rest is incised. The groove in the edge mates to the vessel's stem.